I used to be your typical car enthusiast – seems like as soon as I made a new car purchase I’d be sniffing around for the next acquisition. I’d fall in love with a new release and then find myself at the annual auto show with no real serious intent or purpose, but then leave the event with the cerebral seeds planted. 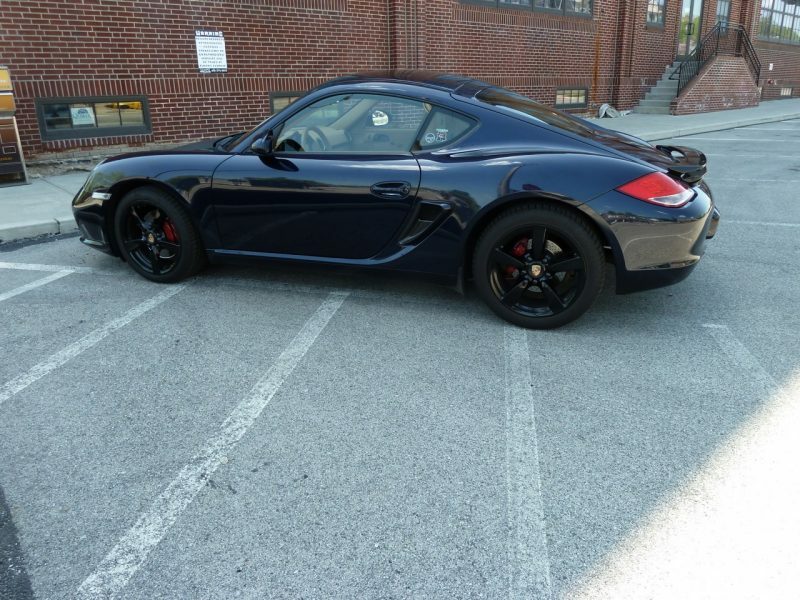 When I purchased my 2009 Porsche Cayman, that routine came to a grinding halt. My activity in the PCA offered plenty of opportunity to salivate over some obnoxiously absurd machines from Stuttgart, most of which are well out of my fiscal stratosphere. But nothing within my reach could have dissuaded me from a car I truly treasured. Accruing mileage was the ultimate motivation for trading my Cayman on a 2016 Macan S. I was well out of warrantee, so at 75,000 miles every minute behind the wheel was an adventure in white-knuckled anxiety. Not your representative Porsche owner, my Cayman was not only a daily driver but also my only mode of transportation. Next to my Cayman it was the best handling car I’d ever owned. But I’d be lying if I said I didn’t miss the mid-engine performance and agility. So within a couple years I flipped the Macan for a 718 Cayman base coupe. I was content – or so I thought. At 300 hp and 280 lb-ft torque, the 718 outperforms my first Cayman – and the deficient exhaust note that many in my Porsche community warned would send me into the pre-owned market really hadn’t deterred me. The motor is persuasively potent, and I can manage the infamous turbo lag with conscientious squeezing of the throttle on launch. If I’m honest, the only way to get me out of this car would be to produce a better 718, which is exactly what Porsche did. I admit I’ve pined for years in hopes of possessing the pinnacle of all Porsche models – the GTS. But doing so would require a much different perspective in my history of ownership in that I’d want this one to last forever. Porsche has now announced the 718 Cayman and Boxster GTS models, and will be delivering them in the spring. By then I’ll be planning weekend jaunts, drive and dines and attending preseason cars and coffee gatherings. And of course there’s every probability I’ll run into a GTS or two before June – so there’s really no chance in avoiding them. Should there in fact be an acquisition in my future, it would have to be judiciously configured with the most discerning of options. And because it would be configured exactly how I want and need it, the end result would not be cheap. But it would also be a Porsche I would enjoy until I no longer can. Because of this, I would become one of those Porsche owners I used to make fun of – an investment residing quietly in comfortable quarters, appearing from its hermetically sealed bubble only when it was time to come out and play. Not exactly what I’ve been used to, but required to secure longevity. Partly because my Cayman is only six months old – but also because the GTS adds more than ten grand on the top of an already pricier 718 Cayman S variant. So getting into one will take some serious finagling (and probably a bank heist) as the GTS is nearly twice the cost of the car I drive now. Like my first Cayman, the 718 was delivered in entry-level trim (if you can say that about any Porsche). It does boast the PDK gearbox and some insignificant options selected mostly for passenger comfort. It is otherwise adorned by its maker with what all 718 models are born with – and not much else. It sports the enhanced S motor resourcefully dialed up to 365 hp with torque that initiates slightly over idle. Add to that the Sport Chrono Package, Torque Vectoring, and Porsche Active Suspension Management as standard features and you have some serious hardware. Sport exhaust is also standard, and the tips that extend from underneath are matte black – matching the twenty inch wheels and other sinister looking accents, making the 718 Cayman GTS look seriously pissed off. The traditional Alcantara interior is distributed liberally throughout the cabin complimenting other GTS interior trimmings. But the base sticker is north of $80,000 US dollars, which is just a tick below the original price of the GT4 when it was first introduced two years ago. The GTS therefore begins at the peak of my price point, and I know very well that when it comes to selecting options, addition for me will only occur by subtraction. I realize that for many of you the incremental cost is relative, but I only have one shot to get this right, as this is very likely the last Porsche I will ever own. at 59 I’m about to enter my seventh decade, and I anticipate driving this car for ten years or more – which means with any luck I’ll be in my seventies when I decide to put it (and myself) out to pasture. If this acquisition is meant to be, it will do so on its own timetable as the all-in cost is likely to hit the century mark by the time I’m done checking boxes. The cost per mile will be significantly higher than any car I’ve ever had, and I can only justify this extravagance with the value of a grin permanently plastered on my smug face. However, as much as I like to select my own gears I’m also smitten with the PDK gearbox. I’ve driven too many Porsches equipped with this magically instinctive option, so add four grand to the invoice right out of the box. I rely on GPS navigation, so toss in another two thousand for that. Entry-level trim does not belong on a car like this. Fortunately, I like the standard Alcantara but I’d have to add deviated stitching for the seats and GTS headrest emblem just because it looks that good. Required packages for this combination increase the invoice another four thousand. I’ve already priced out a 718 Cayman GTS on the Porsche website – and being fairly frugal, I am still looking at about $95,000. If I add in the irresistible carbon fiber trim, fire extinguisher and a few somewhat frivolous options, I am over one hundred grand without even paying Uncle Sam and his offspring their cut. Will I a GTS find its way to my garage? I’d like to say that I expect a future purchase sooner than later, but the honest truth is that there are life events that will have to come first. Trading up to the GTS with a six-month-old car is not the most cost-effective plan from a perspective of value, and other things (like a pending home purchase) stand squarely between me and a dream. Maybe in a year or so when things settle down I can once again ponder the possibilities. But for now it’s looking like finding a GTS in my newly acquired garage isn’t based in realistic thought. I hope that one day soon that time will arrive, and I’ll willingly trade in my 718 (along with a large sum of cash) for the last Porsche I’ll ever own. What about you? If you could only own one Porsche for the rest of your life, what would it be? I’ve enjoyed your posts on both Caymans and am very seriously considering a Cayman in the near term. You have a very unique perspective having owned a 987 and a 718 so I would love your thoughts if possible. This will be my first Porsche and I’m struggling to decide between a 2009-2012 Cayman S and the 718 Cayman base. I don’t commute by car so it won’t be used daily, but it will be the only car for my wife and I (we live in the city and drive about 8,000 miles per year) . I’m very interested in the most pure drivers car and worried that between the new electric-assisted steering and the turbocharged 4, I may miss out the classic Porsche experience. Or are those changes offset by the increased performance of the 718? What would you recommend? As you may be able to tell, I am really struggling with this decision! Sam – I struggle with this question and (like restaurants) hesitate to recommend as recommendations vary widely. The 718 is a new direction Porsche has decided to go, and departs somewhat with the classic features you speak of. Each is pure Porsche, but the perspective has clearly changed. If you are willing to depart from the past and move forward in a new direction, you will not be disappointed. However, if the flat six stirs your soul, you may prefer to pick out one of the many preowned models. I make it a point not to hang on to traditions of the past if they limit my future, but it’s admittedly a conscious decision and I often wonder if I won’t regret it. I would spend a lot of time with both and go with your heart – but don’t look back once you pull the trigger. Hope this helps! That was a fantastic post. I too am in my 50’s planning my “final Porsche” having a 2006 Cayman S in the garage (which might be the final one). I too have said that the 718 is probably its replacement in a few years. And am looking forward to checking out the GTS. But I probably will wait a few years for the move as $100,000 is not really part of the budget. Really wonder why everyone doesn’t own a Cayman or at least want one. I have a GT4 and unless something magical happens with GT3 pricing (not likely) this will probably be my last Porsche. I am 71 but unless something drastic happens health-wise, plan to do many more years of three-pedal driving. The GT4 is an incredible machine and the sound is to die for! 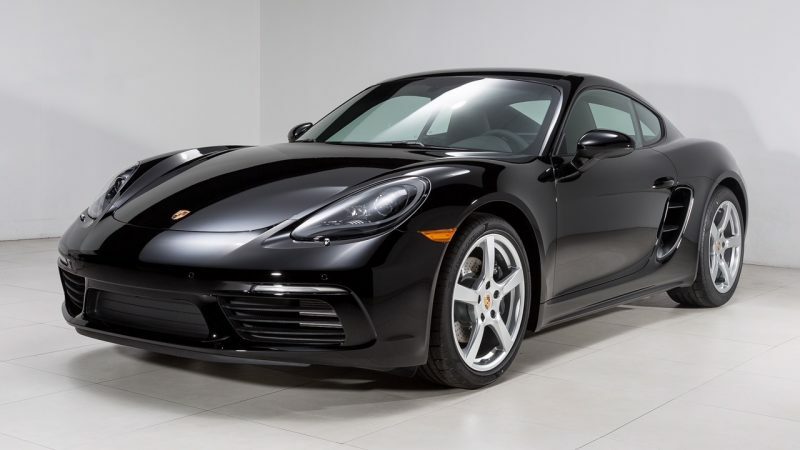 I am 77 and just bought a used 2010 Boxster S PDKed. That is after I sold a 2001 Boxster S.
At this point I don’t think it will be my last. A local PCA member who is well into late 80s just got a fairly new Boxster and is loving it. I think I will follow him and plan for another one around 88 years old. That may be my last…..or not!! Out of curiosity, would a naturally-aspirated 4 appeal to more of the 718 critics; would they be happier with say 150 HP sounds than the turbocharged 300 HP sounds? Do they really miss the sounds of a 356 or 912 running through the gears? My favorite is a 356C. I have one that I brought back from the BRINK. But It still has the original floor. Solid and intact. it has wider wheels , wider tires, Stiffer front & rear suspension and a tweated and balanced 912 engine. THIS CAR is a joy to drive. It always has been ALL that I need. FAMILY JOKE is that I come home after a drive, with a S–t -eatin GRIN on my face. It never fails. WHY?? Why reach for the STARS only to break a leg? Recommend opting for a 981 model Boxster with the naturally aspirated flat six engine matched to a six speed manual transmission. The classic Porsche suspension feel is also a plus over current electronic options. A 917 Boxster Spyder would also be a keeper, if it is made available with the 4.o liter RS engine! Carry on savoring the dreaming/decision part as its all part of the excitement. Nice to know that others share my plight. Good luck with your delivery and let me know if it’s everything you ever dreamed! I was lucky enough to buy a 2015 Cayman GTS with 9000 mi. Great sounding engine and superb handling and as you this will probably be my last Porsche. Also theres always the possibility for more power with a engine conversion etc. Have fun. Having leased a 2016 Base Cayman and a 2017 Cayman S I would look for a 2016 or earlier Cayman S. I thoght the old base engine just was not enough. The 718 S make plenty of noise and a great amount of getup and go but at idle it always sounds like a 4. the layouts are similar. I do however like the exterior of the 718 vs the older 2016, but the engine is what it is all about. I also ended up have the side intakes painted to match body color(Silver) and it makes a difference in appearance.